Something in us is waiting - for what, we don’t know. Something different? Something better? For Christians, perhaps the deepest expression of what we’re waiting for is found in the phrase “eternal life”. But what is eternal life? Why do we want it? And how do we know if we have it? 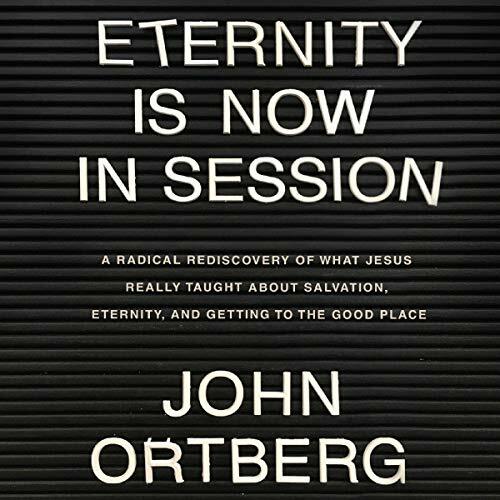 In Eternity Is Now in Session, best-selling author John Ortberg dispels the myth that eternal life is something way out in outer space that we can only hope to experience after we die - and that being saved is merely about meeting the minimal entrance requirements for getting into heaven. 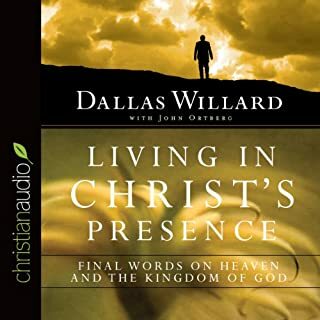 Instead, John unpacks the reality that the moment we trust Christ, we are initiated into “eternal living” with God as a here and now reality, one that will continue beyond our life on this earth. Jesus defined eternal life just once, in John 17:3: “...that they may know you, the only true God, and Jesus Christ whom you have sent.” The kind of “knowing God” that is eternal life is an interactive relationship, not just an affirmation of certain facts about God. 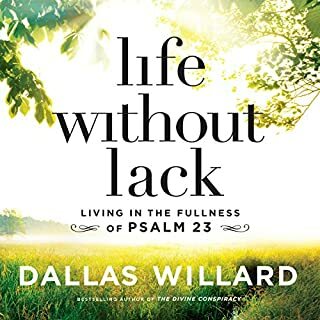 Once we begin the transformative journey of truly knowing God, we can start to experience his presence, favor, and resurrection power right here on this earth - in the details, tasks, and challenges of daily, ordinary life. A presentation of Jesus's teachings that stretches the boundaries of of my little "Christian box". 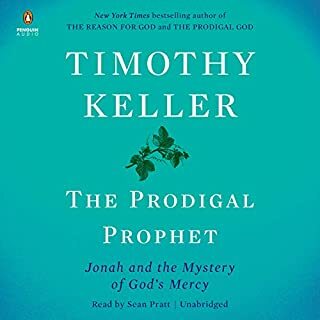 For me listening to this book was literally a life-changing experience, and I plan to listen to it several times. It's like squeezing the juice out of sweet, ripe orange: I want to get every drop. Whether or not you're a Christian, I think you'll be startled at what you hear, in a good way. This read has been so clarifying and helpful! I really enjoyed the clarity and conviction this book was written from. 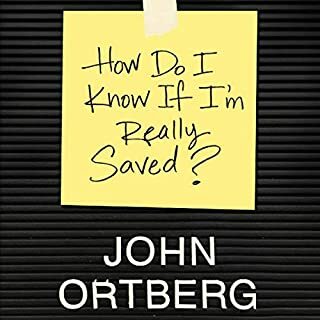 This explanation of salvation and the kingdom of God is refreshing & hopeful! I've probably listened to this book 3 times now and I also purchased an e-book so I could make notes. 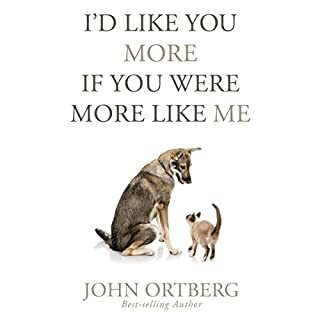 In full disclosure, I have enjoyed many books by John Ortberg and this is no exception. The author presents ideas from scripture that you don't commonly hear, primarily that we can take part in our eternal life with God right now! The subtitle is correct. This is a radical rediscovery. Take advantage of this opportunity to come alive to the work of Jesus in your everyday activities. Make yourself available to God and he will put you to work. Through that fellowship with God, you will experience some of the joy and peace we can have as we take part in eternal life with God. 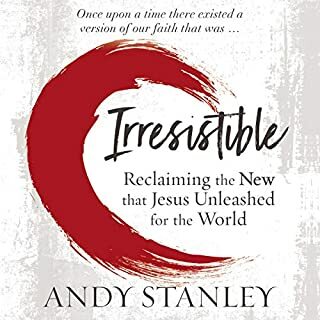 Get a copy and prepare to be challenged, but also to experience more of the life Jesus promised. I liked best the authenticity of the information. presented. This book is most definitely Bible-based.